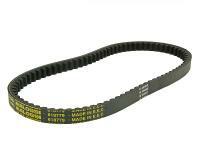 Malossi High Tech drive belt for racing or tuned engines. Can be used as original replacement, as the price is lower than on the original item. Speical inter-woven aramid inserts means greater durability and performance. Most robust in our range. 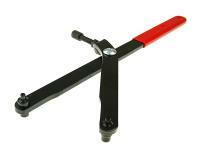 Stiffer counter pressure springs required. Great Malossi quality.